This versatile Christmas design has been created to add to the festive spirit of your home. Stitch the top portion as a warm greeting to hang by your door. Stitch the ornaments to use either on the calendar or for hanging on the tree. 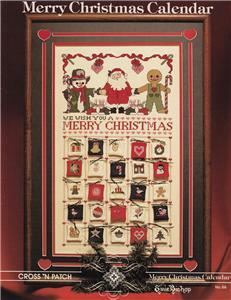 Count the days until Christmas by adding or subtracting the ornaments from the calendar.